About half of all IRAs are administered by and invested in various mutual funds. One third are held in brokerage accounts, while bank deposits and life insurance annuities account for the remainder. About 15% of IRAs cumulatively worth $450 million are held by those aged 70 and above. Due to tax free compounding over the years, the average account is valued at around $100,000. While missing 401(k) retirement plan assets come under the purview of federal guidelines mandated by ERISA (Employee Retirement Income Security Act of 1974); missing and forgotten IRAs at banks, brokerages and insurance companies may not. These include rollover IRAs established for missing or non-responsive 401(k) plan participants. A Traditional IRA may be considered abandoned if a withdrawal is not made by age 70½; the age at which non-withdrawal triggers a 50% tax penalty. 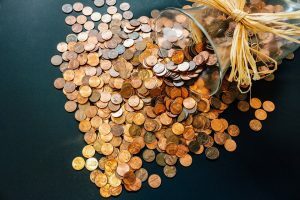 Both Traditional and Roth IRAs may be considered abandoned if one or more distribution checks remain uncashed, which can occur when the owner reaches age 59½ or before, if early distributions are taken. Due to the long term nature of this type of investment, each year large numbers of owners and heirs – who may not be aware of a deceased family member’s IRA or rollover 401k – fail to claim accounts to which they’re entitled. If you have reason to believe you are entitled to claim a missing IRA, either as the original owner or rightful heir, but have had no contact with the holder of the IRA and have not received payment, contact us to initiate a search.